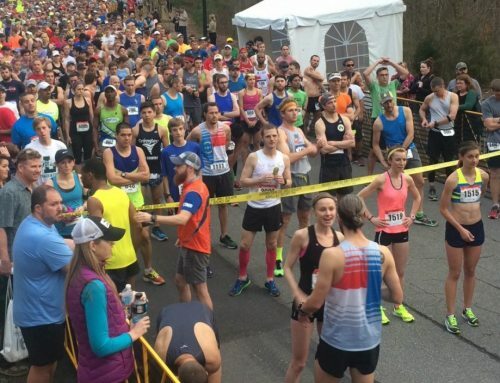 The Mountains to Main Street Race Festival, set for May 22, gives every triathlete and runner, from the competitive age-grouper to the novice, the experience of a lifetime. 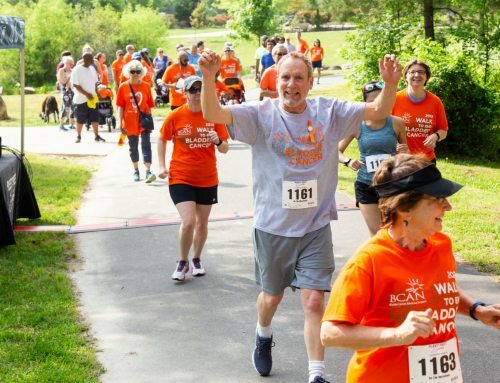 Triathletes will traverse a course that spans three counties across the Upstate of South Carolina and finishing in beautiful downtown Greenville, recipient of numerous national awards for its beauty and welcoming attitude. 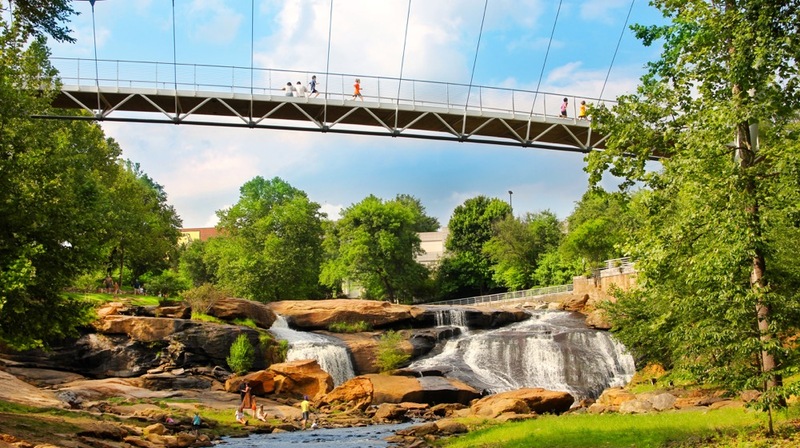 The triathlon features a picturesque swim, a challenging rolling bike course, and a net downhill run that culminates on the TD Stage overlooking the Reedy River in Greenville, SC. The triathlon swim course begins in South Cove County Park and is a point-to-point swim in beautiful Lake Keowee in Seneca, SC. Water temperature on race day is expected to be in the mid-seventies. Cut off time for the swim is one hour and thirty minutes. Athletes will exit the swim and proceed to the transition area where they will mount their bikes for an unparalleled tour on two wheels of Upstate South Carolina, across 56 miles of natural beauty through Oconee, Pickens and Greenville counties. After coming through downtown Travelers Rest amidst the cheers of spectators at local retail and restaurant establishments along Main Street, athletes will complete the bike portion of the race at Trailblazer Park. Cumulative cut off time for the end of the bike portion is six hours. The final portion of the triathlon, the run, begins on the Swamp Rabbit Trail just North of Furman University. Athletes will circle Swan Lake and the Bell Tower on Furman University’s campus. Furman, known as one of the nation’s top undergraduate liberal arts universities, provides an unforgettable backdrop for the early portion of the run. As athletes exit Furman’s campus, they will proceed south on the Swamp Rabbit trail as they make their way toward downtown Greenville. Along the trail, athletes will encounter numerous aid stations and the iconic restored Swamp Rabbit Rail car. 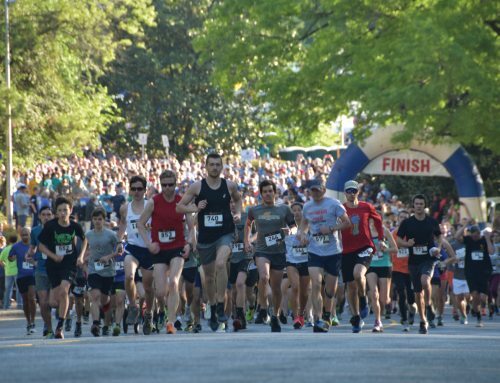 The last leg of the run, and the grand finale for athletes competing in the Mountains to Main Street Half distance triathlon, will bring them into downtown Greenville. The finish on the TD Stage overlooking the Reedy River and Falls Park Bridge will be one spectators and athletes alike will never forget. 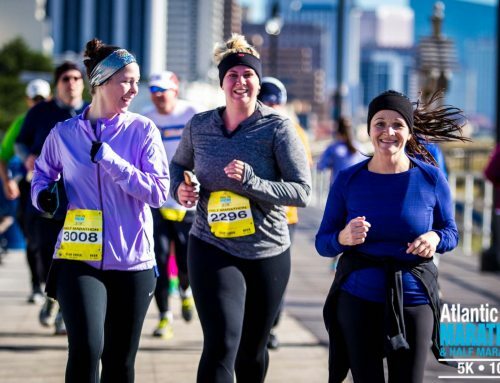 Enjoy the beauty of the scenic Swamp Rabbit Trail, Greenville’s award winning rails to trails multi-use paved trail, in the Mountains to Main Street Half Marathon. Break your longtime personal record on the net downhill course. Join in the excitement of the Mountains to Main Street Race Festival by participating in the Half Marathon. Runners in the Half Marathon will race the same course as the Half Distance Triathletes. The course runs mostly on the Swamp Rabbit Trail, with a short detour around beautiful Furman University campus. Return to the Swamp Rabbit Trail for the net downhill remainder of the run, which finishes on the TD Stage in downtown Greenville overlooking the Reedy River. Transportation to and from the start and finish lines will be provided for half marathon runners. With more than 120 independent restaurants in a 10-block stretch, downtown’s lively dining scene has sparked Greenville’s emerging reputation as a foodie’s paradise. Most are locally owned one-of-a-kind eateries, with cuisine for every taste and price range.